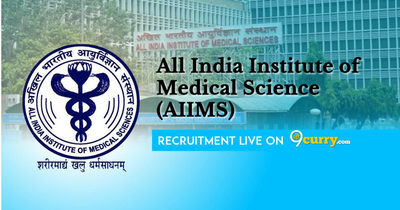 AIIMS Recruitment 2019: All India Institute of Medical Science (AIIMS) / www.aiims.edu is conducting recruitment processes to fill 633 vacancies. As of now, there are sixteen recruitment drives going on for Apply Online for 115 Faculty Posts (Group A), 142 Non-Faculty Group A, B and C Posts and others. AIIMS Patna Recruitment 2019 - Walk in for Sr. Resident Posts - Department of Pediatric Surgery in Department Of Pediatric Surgery, AIIMS Patna, Bihar on Ad hoc Basis. Candidates are invited by AIIMS Patna to attend walk-in-interview to be held on 30 Apr 2019 for 5 vacancies. AIIMS Patna Recruitment 2019 - Walk in for Senior Residant Posts for Department of Opthalmology in AIIMS Patna, Bihar on Ad hoc Basis. Candidates are invited by AIIMS Patna to attend walk-in-interview to be held on 27 Apr 2019 10:00 AM for 3 vacancies. 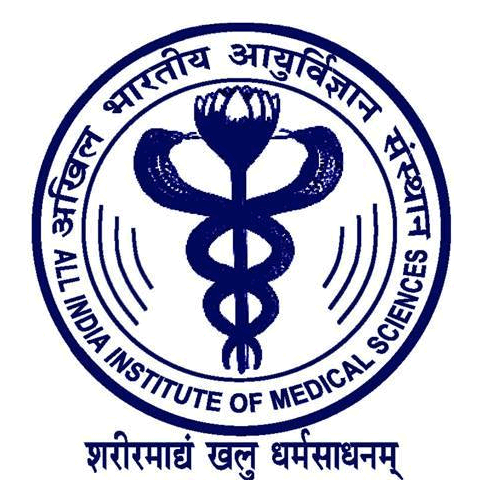 AIIMS Patna Recruitment 2019 - Walk in for Senior Resident Posts for Department of Gastrology in AIIMS Patna, Bihar on Ad hoc Basis. Candidates are invited by AIIMS Patna to attend walk-in-interview to be held on 23 Apr 2019 10:00 AM for 2 vacancies. AIIMS Patna Recruitment 2019 - Walk in for Senior Resident Posts for Department of Radiotherapy in Department of Radiotherapy, AIIMS Patna, Patna, Bihar on Ad hoc Basis. Candidates are invited by AIIMS Patna to attend walk-in-interview to be held on 11 May 2019 12:00 Noon for 3 vacancies. AIIMS Patna Recruitment 2019 - Walk in for Senior Resident - Dept of Biochemistry in Department of Biochemistry, AIIMS Patna, Bihar on Ad hoc Basis. Candidates are invited by AIIMS Patna to attend walk-in-interview to be held on 23 Apr 2019 12:00 PM for 1 vacancy. AIIMS Jodhpur Recruitment 2019 - Apply Online for Public Relation Officer & Law Officer Posts in AIIMS Jodhpur, Jodhpur, Rajasthan on Direct Recruitment. Online Applications are invited by AIIMS Jodhpur from 25 Mar 2019 to 23 Apr 2019 for 2 vacancies. AIIMS Jodhpur Recruitment 2019 - Job notification for 12 Store Officer, Sanitation Officer & Other Posts in AIIMS Jodhpur, Rajasthan on Deputation Basis. Applications are invited by AIIMS Jodhpur on or before 01 May 2019 for 12 vacancies. AIIMS Jodhpur Recruitment 2019 - Walk in for 71 Senior Resident Posts in AIIMS Jodhpur, Rajasthan. Candidates are invited by AIIMS Jodhpur to attend walk-in-interview to be held on 25 Mar 2019 & 26 Mar 2019 10:00 AM for 71 vacancies. AIIMS Jodhpur Recruitment 2019 - Apply Online for 135 Yoga Instructor, Pharmacist & Other Posts in AIIMS Jodhpur, Rajasthan. Online Applications are invited by All India Institute of Medical Sciences, Jodhpur from 12 Feb 2019 to 14 Mar 2019 for 135 vacancies.